Whether you’re on your way to close an important deal in person or jetting off to a much-needed getaway, air travel often is the best way to get from Point A to Point B in Southern California. However, traveling via commercial airline creates as many problems as it solves for busy, productive and important people such as you. Long lines at the airport cut into time you could be spending preparing for your big meeting. Inflexible flight departure times place unreasonable deadlines on your business and force you to end your vacation before you’re ready. Commercial aircraft are confining, uncomfortable and offer little to no privacy. However, there is a solution to all of these problems that is available to you whenever you want: Chartering a private jet in Los Angeles offers you the opportunity to fly in style and comfort at your convenience. 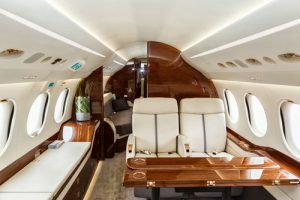 Here are just a few of the ways in which private charter flights can make air travel less stressful and more enjoyable for you. In the past, commercial aircraft were designed with the comfort of passengers in mind, but today space and comfort are at a premium. Crowded cabins and less-than-comfortable seats are the norm today – even in business class and first class. However, when you charter a private jet, the only person you have to share legroom with is… you. Without the distractions of other people climbing over you to get in and out of their seats, you’ll also be able to concentrate on any important work you need to get done. A meeting held at 39,000 feet with just your most important business partners and no distractions can be incredibly productive. Or perhaps you would simply like to relax before reaching your destination, in which case many private aircraft seats can be transformed into lay-flat beds that allow for peaceful rest. Additionally, the ability to choose who travels with you, bypass the airport crowds and head straight to your aircraft means you can keep a low profile – which is perfect for when you would rather not have other people know the details of your business travel or vacation destination. Traveling via commercial airline means you are beholden to the airline’s schedule. You have little control over when your flight leaves or arrives. What’s more, if you’re running late for any reason, everything turns into chaos. That’s not a problem with a private charter, which will never leave without you and will always be ready to depart when you’re ready. Because you won’t have to deal with long security lines or check in at the airport, you’ll also be able to arrive at the airport moments before your planned departure and be in the air almost immediately. When flying privately, airport parking is a non-issue as you typically have the luxury of pulling your vehicle right up to the aircraft door. Flying a commercial flight to most major destinations in Southern California usually means flying out of LAX and arriving at another major airport. 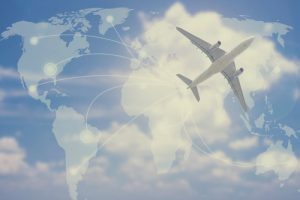 That destination airport may or may not be anywhere close to where you’re ultimately traveling to, which could mean an extended car ride after you’ve already spent hours in the air. On the other hand, private jet charters can fly in and out of smaller airports throughout the region, making it easier for you to depart and land from an airport that’s closer and more convenient for you. Private jets can use more than 5,000 airports in the U.S, while commercial airlines only reach 550. There’s no need to spend potentially hours in freeway traffic just to get to and from the airport. Less crowded airports also allow for less aircraft taxi time to/from the runway which means you’ll avoid sitting in your jet for 20-30 minutes waiting for your turn to takeoff. Flying commercially prevents you from bringing many liquids and oversize or fragile items onboard. Flying privately avoids this and allows you to bring your food and beverages of choice onboard along with any fragile instruments, artwork, sports gear or even your pet. These can all be secured inside the cabin with you to ensure they are protected and never out of your sight. The comfort, flexibility and convenience of private jet charters make them an excellent choice for busy people on the go. Whether you’re traveling for work or pleasure, a private charter can take the frustration and inconvenience out of air travel and give you more time to focus on the reason you’re traveling. To learn more about traveling via private charter with Latitude 33 Aviation, contact us to get a quote.